The top image is Amalfi, one of the most beautiful places I’ve been in a long time, I just stared at it for a while, then lay on the beach and enjoyed the view some more 🙂 Built up the cliffs above the sea, some of the buildings look impossible to get to! The road there is a nightmare, really narrow and twisting around the coastline – it’s so narrow and stressful the bus driver got a round of applause at one point for getting past a car! 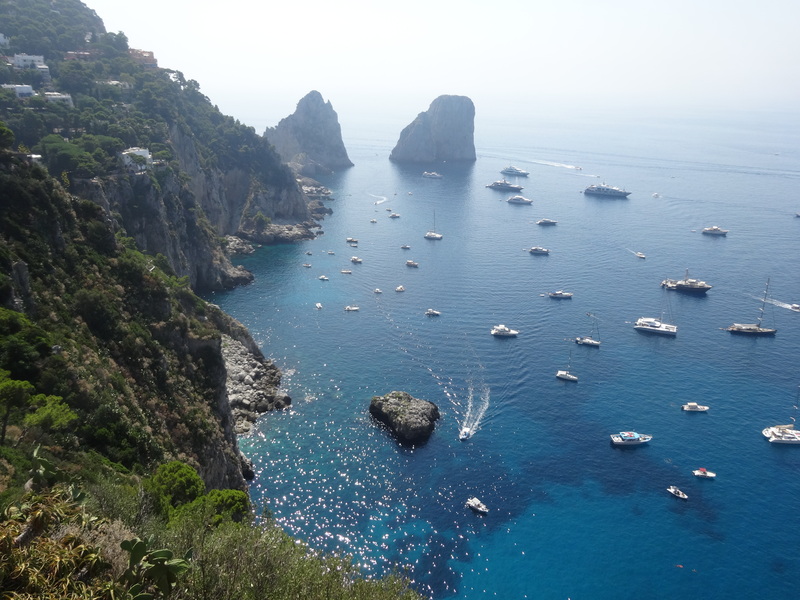 Next time I go there, I’d like to take a private yacht to Capri… maybe if I win the lottery! Beautiful blue seas and dramatic cliffs hiding colourful grottoes, I really enjoyed the boat trip around the island, and of course window shopping in the all the designer stores. 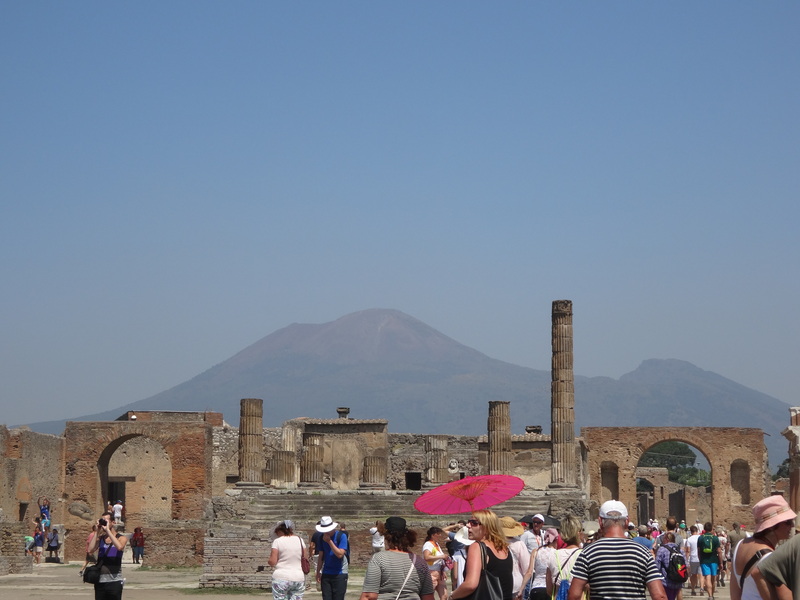 The big day out of the trip was Pompeii and Vesuvius. It was too hot to see more than the highlights but it’s a fascinating place, with the volcano still looming over the town. Vesuvius was visible from all around the bay, I got a bit jumpy when the only wisps of cloud around were right above the mountain! This entry was tagged Amalfi, Beautiful places, Capri, Italy, Pompeii, Travel. Bookmark the permalink.